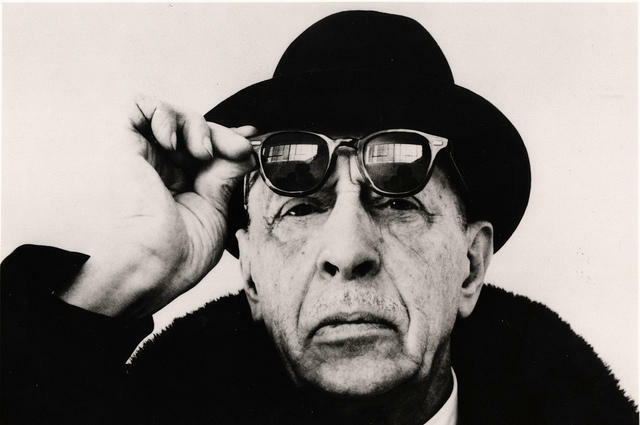 If you hear the name Igor Stravinsky (1882-19710), what music comes to mind? Perhaps it is his ballet music, The Rite of Spring, Petrushka, or The Firebird Suite. But there are symphonies, operas, concerti, choral music and much more. Some of these styles are to be found in Stravinsky’s Mass for Chorus and Wind Orchestra. This will be the second work in the East of England Singers’ concert, Saturday 17 October, St John’s Church, Carrington, Nottingham, 7.30pm. Stravinsky was a member of the Russian Orthodox Church. He drifted away but returned to faith later, though by then he no longer lived in Russia. Instruments were never used in his church, so he turned to the liturgy of the Roman Catholic Church and composed a Mass setting. This was deeply personal to Stravinsky, something he felt compelled to compose from his own faith, his own soul. There is something both haunting and striking about the music, music Stravinsky determined would not be overly emotional. To him, it was the words that mattered above all else. It was first performed at La Scala, Milan, in 1948 and is a challenging and exciting sing, rhythmic, at time dissonant yet with echoes of plainsong. Click here for the full concert programme and tickets. This entry was posted in COMPOSERS. Bookmark the permalink.